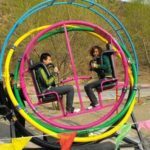 One of the most exciting rides that you can go on, but only if you don’t get easily sick when using amusement park rides, is something called a human gyroscope. This is a device that you can find that many amusement parks, and is required by all those that go into astronaut training, in order to prepare them for being weightless and the maneuvers that must occur in space. During the 1980s, they were very popular, but since then have fallen out of favor, and are no longer produced except for professional establishments. 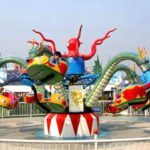 There are several machines that are still around, and if you are lucky enough to find one, you might want to try one out. 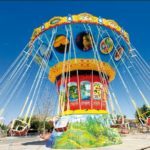 Going back to the early 1900s, this particular ride was developed and patented, and re-created many times by several innovative individuals. 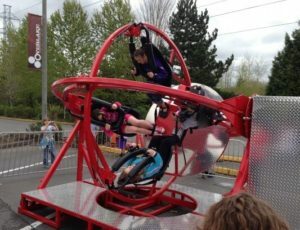 Very popular back in the 1920s, also called the aerotrim, it is a very innovative device that consists of several different rings where the person is attached to the device, and due to the movements that they make, they can cause the device to spin. 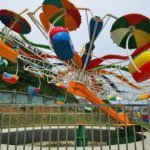 It actually requires a little bit of physical strength to get the thing going, but once you start spinning, you will realize that you may not actually get dizzy. 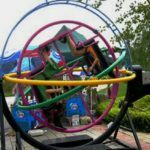 In the same way that an ice skater will find their center of balance, being able to spin many times and then stop, seemingly not busy at all, the same concept is true for those that are adept at using the human gyroscope ride. Although this was created decades before, it’s main popularity came in the 1980s. The media really helped in this effort, providing worldwide exposure, and was often incorporated into the membership of workout gyms, freestyle ski resorts, and also hospitals as a form of therapy. It later became more of a toy, a novelty item, instead of something that was seriously used for beneficial purposes. However, in the space industry, it is something that is definitely used because of its ability to mimic what astronauts are going to experience once they take off into outer space. 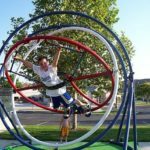 If you do not get sick and going around curves while driving, or if you have never been to outer space which most of us have not, you might want to try this device out. 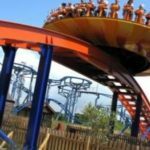 There are not too many around anymore, but if you can go to an amusement park that has one, or perhaps a business that has one available, once you get inside, you will realize why so many people enjoy using this machine. Modern advancements of actually incorporated a headmounted display, providing a three-dimensional experience that can be very entertaining. As technology continues to improve, you might see these coming back, eventually allowing people to perhaps experience what it feels like to be in outer space without ever leaving the ground using this fun filled and innovative modernistic device.